1. What are the Knights of Columbus? 2. What are the requirements to join the Knights of Columbus? 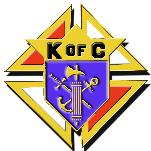 Membership in the Knights of Columbus is open to males 18 years of age or older who are practical (that is, practicing) Catholics. A practical Catholic accepts the teaching authority of the Catholic Church on matters of faith and morals, aspires to live in accord with the precepts of the Catholic Church, and is in good standing in the Catholic Church. 3. How can I join the Knights of Columbus? If you are interested in joining the Knights of Columbus, please contact the parish office and they will have someone from the local council contact you. 4. I don't have time to join another organization; why should I join the Knights of Columbus?